Motorola is hard at work creating a new version of its fondly remembered clamshell phone the Motorola Razr, which was THE phone to be seen with when it went on sale in 2004. Back then, if you weren't snapping your box-fresh Razr shut after every call, you were so out of style you might as well have been using a pager. The Razr 2019 edition might not achieve the same level of ubiquity or chicness but it has got a lot of people excited. Early leaks and schematics suggest that the reborn Razr will have a folding screen running the length of the inside of the handset, and a smaller second screen on the outside. This was shown in a patent filing we reported on in January this year. The external screen will apparently display select system apps, such as Moto Display, Moto Actions and the Moto Camera app. However, in a revealing chat with Engadget, Motorola Vice President of Global Product Dan Dery said, "We have been testing a plastic OLED device with plastic film on top." That suggests that Motorola also considered placing a folding screen on the outside of the handset, similar to the Huawei Mate X. That design may never see the light of day, though, as Dery promptly added: "The fact that you're touching [that kind of display] with your nails is scratching it. It has a short life right away; it starts dying the day you unpack it. But it's beautiful." 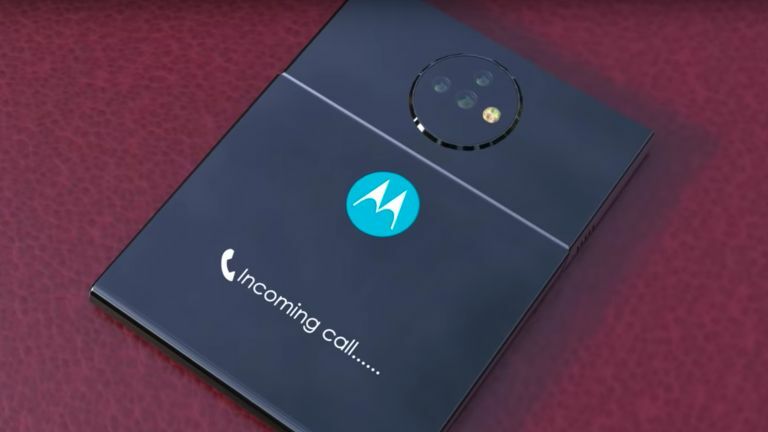 Thankfully, that hasn't stopped designer TechConfigurations from coming up with a concept video that shows just how slick a Moto Razr with its folding screen wrapped around the outside of the clamshell could be. The conceptual handset has a triple camera, a hidden earpiece in the screen, an in-display fingerprint scanner, a Snapdragon 855 processor, 8GB RAM and a Huawei P30 Pro beating 5,500mAh battery. Oh, and to top off that wish-list, the USB-C port is joined by a headphone socket.